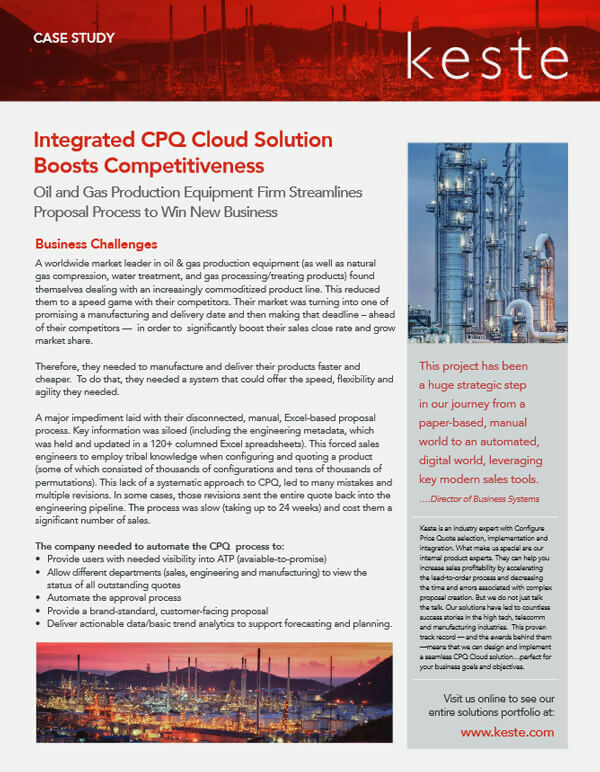 A oil and gas production equipment firm streamlines their disconnected, manual, Excel-based proposal process. 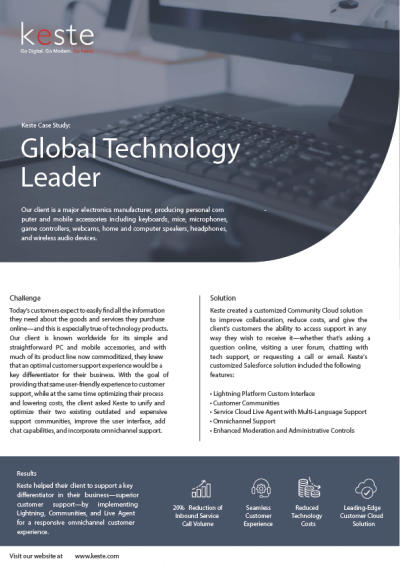 complex proposal process, allowing them to remain competitive and win more business in an extremely fast-paced and increasingly commoditized marketplace. 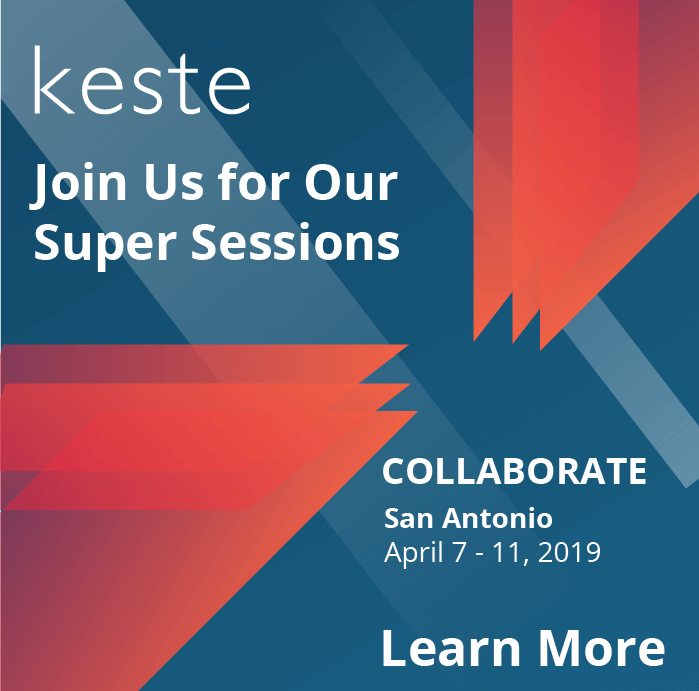 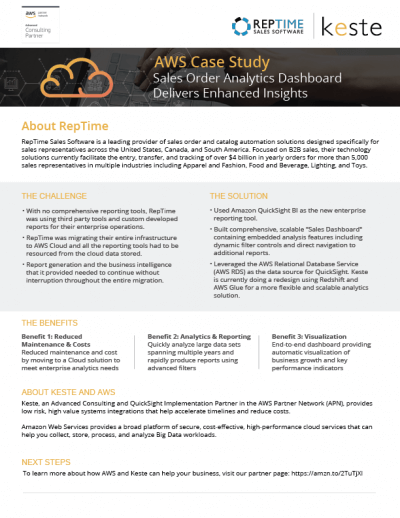 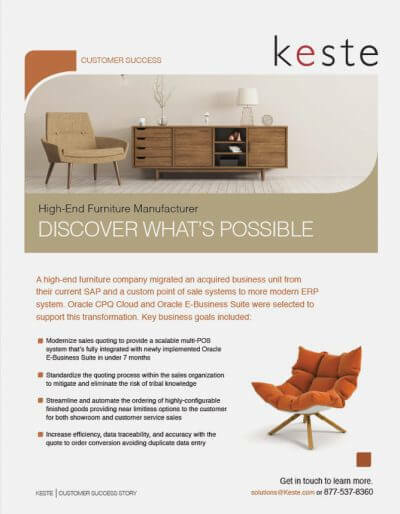 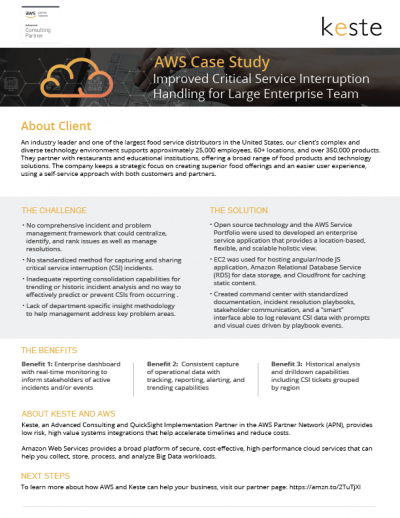 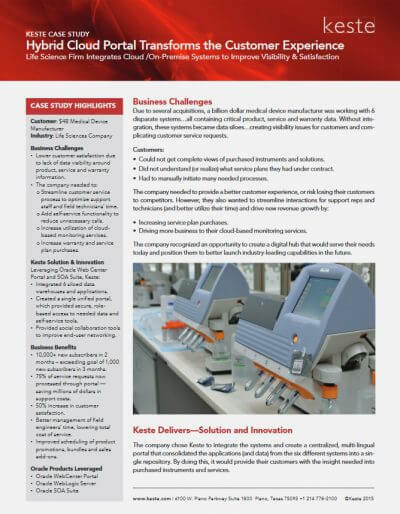 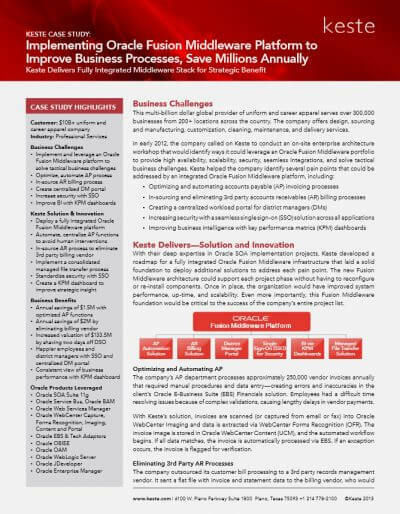 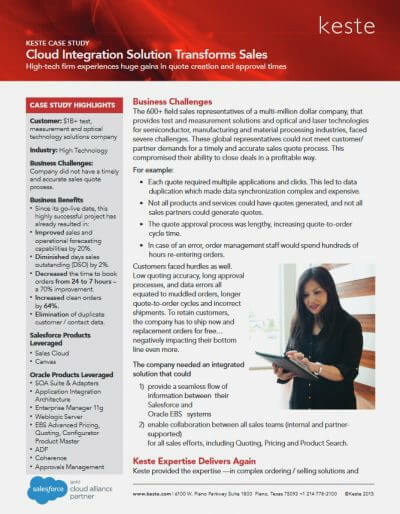 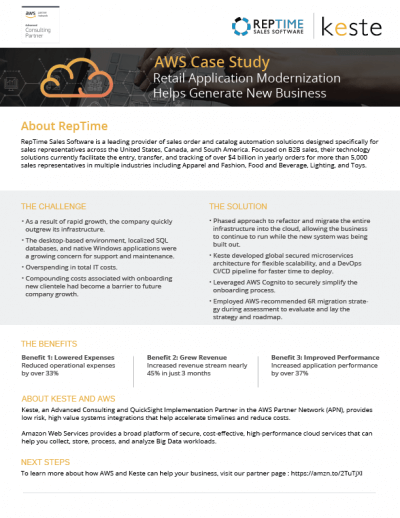 Learn how Keste automated this company’s lead-to-order process for standard, custom and engineer-to-order products utilizing Oracle CPQ Cloud, Oracle SOA and Salesforce.